An award-winning, accomplished neurosurgeon Dr. Bipin S Walia currently heads the Neurosurgery unit at Max Super Speciality Hospital in Saket, New Delhi. He bagged the UN Peace Medal and the Chief of Army Commendation for his contribution as a medic. Dr. Walia holds expertise in spinal neurosurgery with a primary focus on instrumentation, disc replacement surgery, minimal access spinal technologies, endoscopic cranial surgery, neuro-oncology and image-guided surgery. 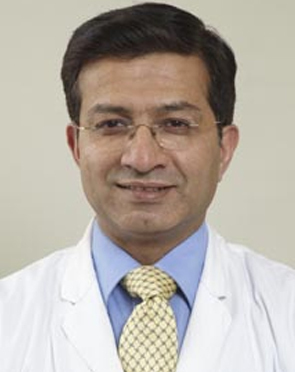 From Functional and Stereotactic Neurosurgery course at St. Vincent's Hospital in Sydney to Endoscopic Disc Surgery course at Medical Education & Research Institute in Texas, Dr. Bipin Walia has gained several fellowships and took up worthy training sessions from prestigious universities across the world. He also attended a training session on Endoscopic Surgery at the University of Mainz in Germany. While he was in Germany, he went on to pursue yet another credible training session on Neuro-navigation including high-field, intra-operative MRI (brain suite) at the University of Erlangen. During his academic years, he studied MS from Armed Forces Medical College (AFMC), Pune and M. Ch from AIIMS, New Delhi. He has a rich experience as a post-graduate professor of neurosurgery at the University of Delhi and the University of Pune. He is an eminent member of the Association of Spinal Surgeons of India, Delhi Neurological Society, Neurological Society of India, Association of Surgeons of India, Spinal Cord Society of India and Spinal Science Advancement Foundation. He also bagged the Max Healthcare Chairman's Award. Dr. S Walia performs 11 different procedures. Click on a procedure name to see more details and to view doctors for that specialty. 4.1 average based on 52 reviews.